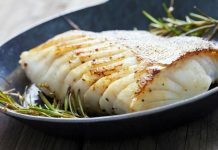 Sustainable seafood is seafood that is either caught or farmed in ways that consider the long-term vitality of harvested species and the well-being of the oceans, as well as the livelihoods of fisheries-dependent communities. 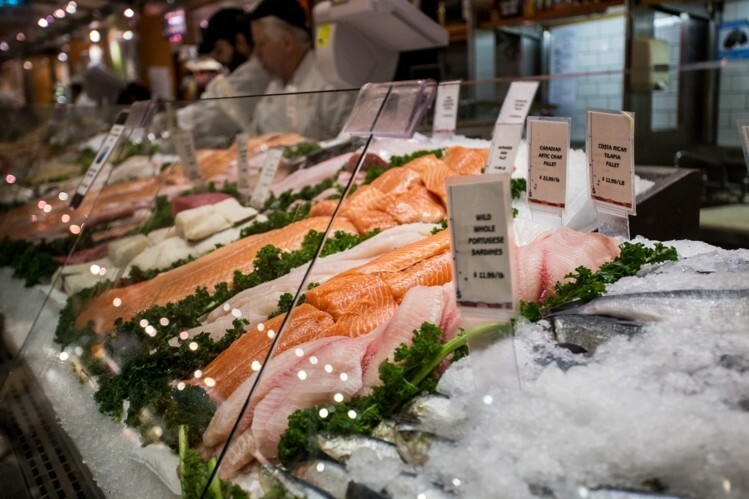 Sustainable seafood was first promoted through the movement which began in the 1990s. This operation highlights overfishing and environmentally destructive fishing methods. Through a number of initiatives, the movement has increased awareness and raised concerns over the way our seafood is obtained. Many popular seafood species will likely be wiped out within 40 years with current fishing practices. Unless we change our rate of consumption, we’re within a century — possibly even less — of a world where jellyfish are the only wild seafood option left. 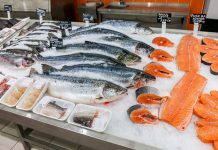 The Seafood Watch program provides scientifically based recommendations on what seafood options are best for the environment. 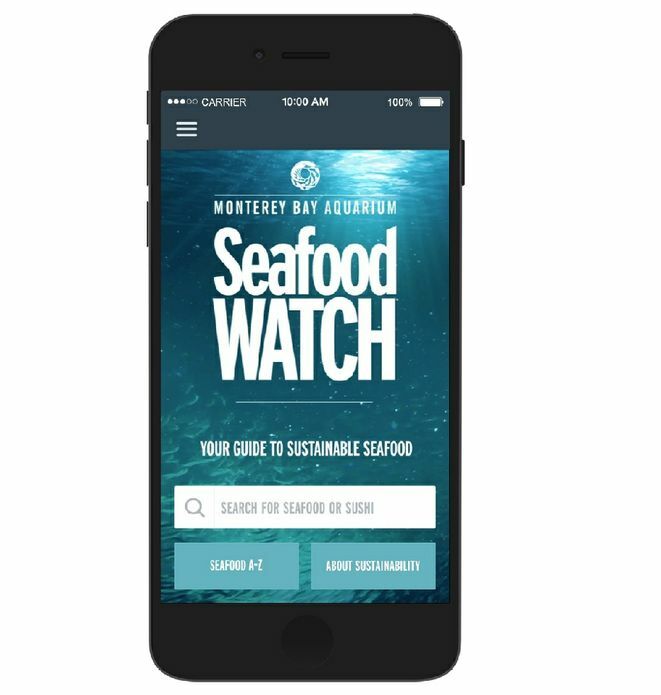 You can also download the free Seafood Watch app or pick up a consumer pocket guide today. 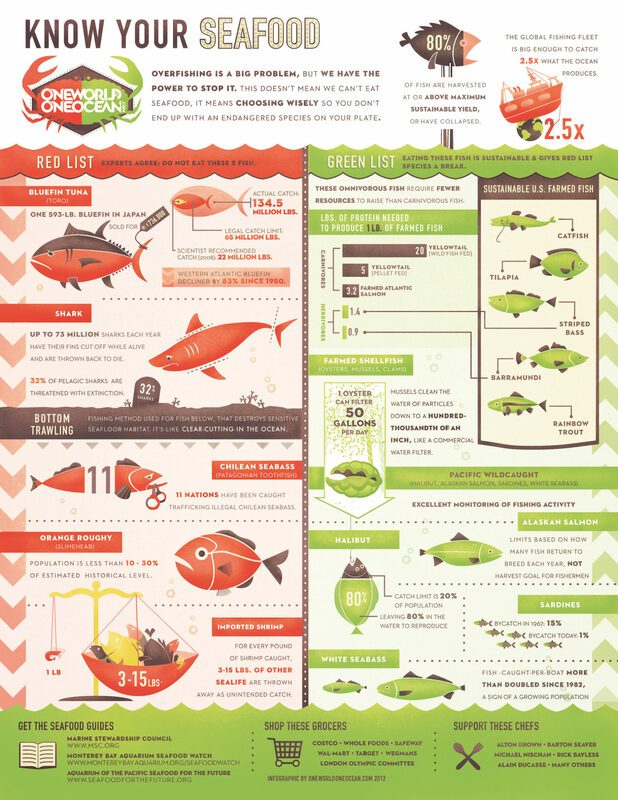 This pocket guide (see below) is from the Monterey Bay Aquarium on the best fish to choose, good alternatives and ones to avoid based on the environmental impact of how it was caught or farmed. Take a quick look to see if you can find your favorites. To learn more about seafood, check out FishWatch.gov—the nation’s database on sustainable seafood—providing science-based facts on more than 100 marine species. 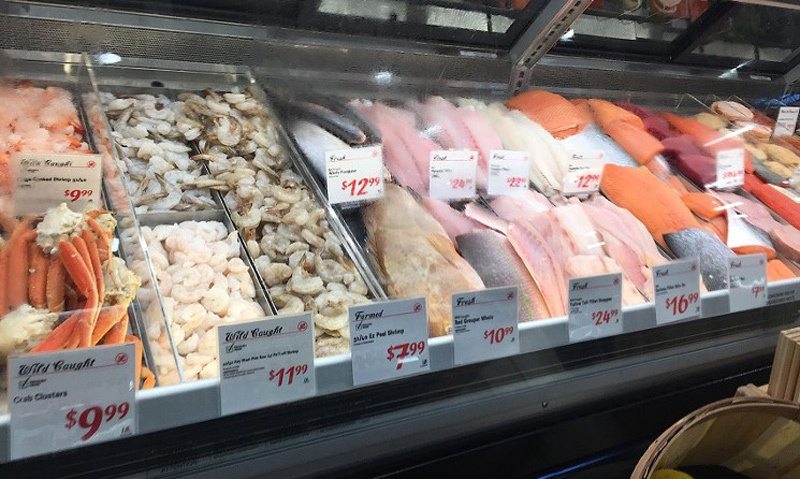 Make smart seafood choices by arming yourself with the facts about what makes U.S. seafood sustainable—from the ocean or farm to your plate. 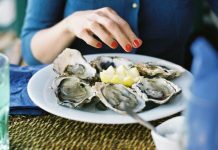 It’s easier than ever to get the latest recommendations for seafood and sushi, learn more about the seafood you eat, and locate or share businesses that serve sustainable seafood. 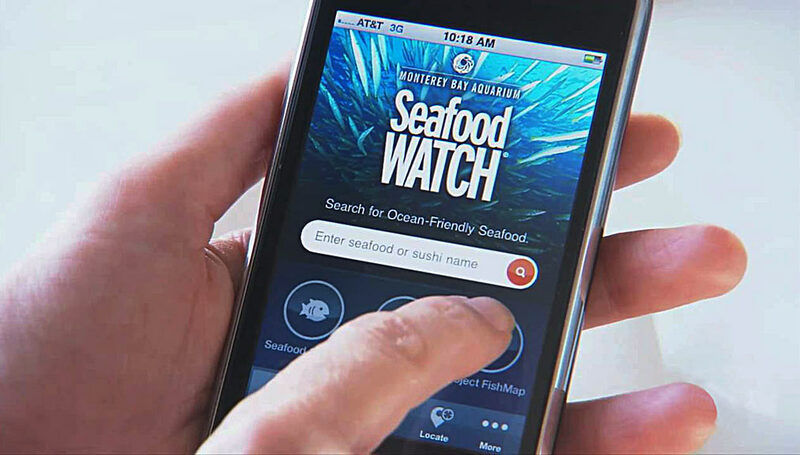 You can download the free Seafood Watch App here.